According to the Focus magazine, the Department of General, Abdominal and Transplant Surgery at the University Hospital Heidelberg ranks among the top German departments specializing in bowel cancer treatment! The department offers the full range of services in these medical fields and guarantees the first-class medical care at the university level. The department specializes in the treatment of diseases of the abdominal cavity, esophagus and thyroid gland, transplantation of liver, kidney and pancreas. 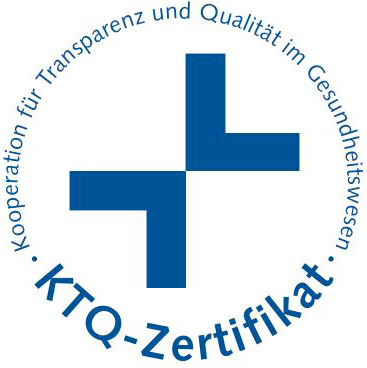 The medical facility has won the reputation of one of the three largest and most successful Transplant Centers in Germany. The department is headed by Prof. Dr. med. Markus W. Büchler, who is one of the best doctors in Germany, according to the Focus magazine rating. He has performed a number of successful operations, productive examinations, which contribute to the development of modern medicine. It is worth noting that bariatric surgery (obesity treatment) is also included in the department’s tasks. The specialists demonstrate outstanding results in the treatment of oncopathology of the abdominal organs and sarcomas, liver, kidney and pancreas transplantation. Also, within the clinical practice, doctors hold highly-specialized consultations on rare diseases and provide 24-hour emergency care. The excellent technical equipment and high competence of the department's surgeons allow them to perform simple classical operations and extremely complex interventions. The preference is always given to sparing minimally invasive techniques, which today are the gold standard in surgery. Pancreas, Liver, Gastrointestinal Tract and Transplant Surgery. 1974 - 1979 Study of Medicine, Ruprecht Karl University of Heidelberg. 1979 - 1980 Clerkship, Free University of Berlin. 1980 Doctoral thesis defense (Dr. med. ), University of Heidelberg. 1981 - 1982 Advanced training in General and Cardiac Surgery, Department of Surgery, Free University of Berlin (Head: Prof. E.S. Bücherl). 1982 - 1984 and 1985 - 1987 Advanced training in General Surgery, Department of General Surgery, University of Ulm (Head: Prof. H.G. Beger). 1984 - 1985 Advanced training in Emergency and Orthopedic Surgery, Department of Emergency and Orthopedic Surgery, University of Ulm (Head: Prof. C. Burri). 1987 Board Certification in Surgery, University of Ulm. 1987 Habilitation (Thesis), University of Ulm. 1991 Associate Professor, Vice Chairman, Senior Physician in General Surgery, Department of General Surgery, University of Ulm (Head: Prof. H.G. Beger). 1993 - 2001 Professor of Surgery and Chairman of the Department of Abdominal and Transplantation Surgery, University of Bern, Switzerland. 1999 Head of the Department of Gastrointestinal, Liver and Lung Diseases, University of Bern, Switzerland. 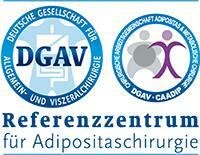 Since 2001, Head of the Department of General, Abdominal and Transplantation Surgery, University Hospital Heidelberg. Since 2003, Managing Medical Director of the Department of Surgery, University Hospital Heidelberg; in parallel: Head of the Departments of Surgery at the Salem Hospital, Heidelberg (since 2005), at the General Hospital in Sinsheim (since 2009), at the General Hospital in Eberbach (since 2012), and at the General Hospital in Heppenheim (since 2013). 1993 German Society of Surgery. 1984 German Society for Digestive and Metabolic Diseases e.V. 1984 International Association of Pancreatology. 1987 Professional Association of German Surgeons e.V. (BDC). 1990 American College of Gastroenterology. 1991 Society for Surgery of the Alimentary Tract. 1991 Section Surgical Research of the German Society of Surgery. 1992 European Society for Surgical Research (ESSR). 1992 International Society for Regional Cancer Therapy (ISRCT). 1993 International Society of Surgery (ISS). 1993 International Gastro-Surgical Club (IGSC). 1994 Swiss Society of Surgery. 1994 Swiss Society of Visceral Surgery. 1994 Swiss Society of Gastroenterology and Hepatology (SGGH), (E.A.E.S.). 1994 Working Association for Laparo- and Thoracoscopic Surgery (Switzerland). 1994 Collège International de Chirurgiens, Swiss Section. 1994 Surgical Infection Society – Europe (SIS). 1994 Functional Brain-Gut Research Group. 1994 Association of Middle Rhine Surgeons. 1994 German Society for Obesity Research. 1994 World Association of Hepato-Pancreato-Biliary Surgery. 1994 International Hepato Pancreato Biliary Association (IHPBA). 1995 European Society of Parenteral and Enteral Nutrition (ESPEN). 1995 Association of Bavarian Surgeons. 1995 Society of Gastroenterology in Bavaria. 1995 Austrian Society of Surgery. 1995 New York Academy of Sciences. 1995 European Association for Gastroenterology and Endoscopy (EAGE). 1995 Collegium Internationale Chirurgiae Digestive (CICD). 1995 European Digestive Surgery (EDS). 1995 Swiss Working Group for Coloproctology. 1995 Swiss Association for Surgical Research. 1996 Swiss Society of General Surgery (SGAC). 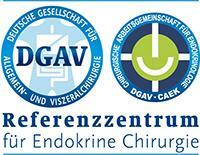 1996 German Interdisciplinary Association for Pain Therapy (DIVS). 1998 International Society for Diseases of the Esophagus (ISDE). 1988 - 1993 Organization, Gastroenterological Colloquium of the University of Ulm. 1988 Member of the Editorial Board, International Journal of Pancreatology. 1989 - 1991 Member of the Selection Committee, European Pancreatic Club. 1989 - 1992 Member of the Program Committee, German Society for Digestive and Metabolic Diseases. 1991 General Secretary, European Pancreatic Cancer Study Group. 1992 Scientific Advisory Board, Working Group of the Pancreatectomized. 1992 - 1994 German Society of Surgery, Surgical Forum. 1996 Honorary Member, Academic Association of Medical Interdisciplinary Studies. 04 - 06 July, 1996 Visiting Professor, University of Belgrade, Clinical Centre of Serbia, School of Medicine, Institute for Digestive Diseases, Belgrade, Yugoslavia. 1996 - 2000 Member of the International Scientific Committee, International Hepato Pancreato Biliary Association. 1996 Member of the Executive Board, Swiss Society of Surgery. 1996 Corresponding Member, Sociedad Argentina de Gastroenterologia. 1994 Member of the Editorial Board, Acta Chirurgica Austriaca. 1994 Member of the Extended Executive Committee, International Gastro-Surgical Club. 1995 Editor, Minimal Invasive Chirurgie. 1995 Chief Editor, Digestive Surgery. 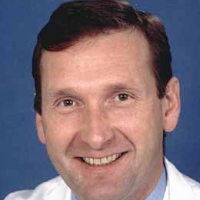 1995 Member of the Editorial Board, Swiss Surgery. 1995 Member of the Educational Committee, European Association for Endoscopic Surgery and other interventional techniques (E.A.E.S.). 1995 Chief Editor, Progress in Surgery. 1995 Editor of the Section, The Oncologist. 1995 Corresponding Member, Austrian Society of Surgery. 1995 Member of the Editorial Board, Bit Surgery. 1995 General Secretary, European Digestive Surgery (EDS). 1996 Scientific Advisory Council, Medizin im Bild. 1996 Working Committee, German Society of Surgery: Section Surgical Research. 1996 Member of the Editorial Board, Progress in Surgery. 1996 Councillor, International Association of Pancreatology. 22 - 25 May, 1996 Visiting Professor, Yale University, School of Medicine, Department of Surgery, New Haven, USA. The results of both clinical and laboratory studies were published in over 1500 articles in the medical journals. 1987 Ludwig-Rehn-Award, Association of Middle Rhine Surgeons. 1988 Award of the International Association of Pancreatology, Verona, Italy. 1990 Award of the International Association of Pancreatology Nagasaki, Japan. 1991 Research Award of the Society of Computed Tomography Seattle, USA. 1991 Award, Association of Middle Rhine Surgeons, Luxembourg. 1993 Award of the International Congress on Anticancer Chemotherapy Paris, France. 1993 Award of the European Association for Gastroenterology and Endoscopy, Barcelona, Spain.